Interact is a service club for youth ages 12-18. Clubs benefit from sponsorship by individual Rotary clubs, which provide support and guidance. Interact has a membership of over 330,000 youth in more than 14,500 clubs worldwide. It’s one of Rotary’s fastest growing programs. Interact clubs are self-governing and self-supporting and can be either school or community based. Interact’s name is a combination of the words international and action. With clubs in over 142 countries and geographical areas, Interact is truly an international phenomenon. Interact’s global youth network is dedicated to community and international service. Every Interact club project, great or small, has a lasting impact on society worldwide. Brazil, India, the Philippines, and the United States boast the highest number of Interact clubs. Why should you join Interact? Interact is a network of students with one common goal: to make a difference in the world. Interactors have the power to make a difference both locally and globally. Dozens of clubs across our district have acted to bring about change, whether it’s through small food drives for local food banks or large fundraisers to support families in Haiti and India. By joining Interact, you have the opportunity to make a difference in someone’s life by putting service above self. This video made in 2016 shows the impact different interact clubs have made in their communities and how you can get involved! How Do Interactors Define Interact? The videos shown below were entries by Interact Clubs in the 2014 District 7980 Interact Video Contest. Each club defines Interact through their words, pictures, and actions. Click here to view the winners and finalists of all of Rotary International’s Interact Video Contests! The Interact Executive Committee consists of Interact Co-Chairs (Rotarians) and District Officers (Interactors). 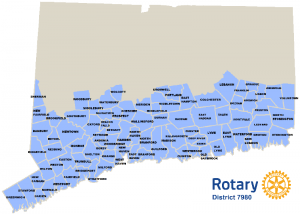 This committee serves to oversee the Interact program in Rotary District 7980. This includes the formation of new Interact clubs, the planning of district-wide events, and improving inter-club communication. Committee members can provide your club with the latest information and answer questions you may have about the Interact program. Click here for more information about the Interact Executive Board. These conferences are groups of dedicated Interact club officers, advisers, Interactors and non-interactors looking to create a club who convene to strengthen the Interact program in Rotary District 7980. These conferences serve as a platform for district-wide initiatives and club partnerships, as officers and advisers have the unique opportunity to learn from other Interact clubs. They are great venues to inform others about your club’s upcoming event, recruit additional volunteers, and start a joint project with other clubs. Interact District Representatives and the District Leadership Team are present to lead the conferences, as well as discuss and share upcoming district events, which the officers and advisers can then pass along to their respective Interact Club. Click here to learn more about the Leaders of Tomorrow Conference, as well as other Interact District Conferences.